"A very thorough adviser, who is strategically adept in presenting difficult arguments to court." 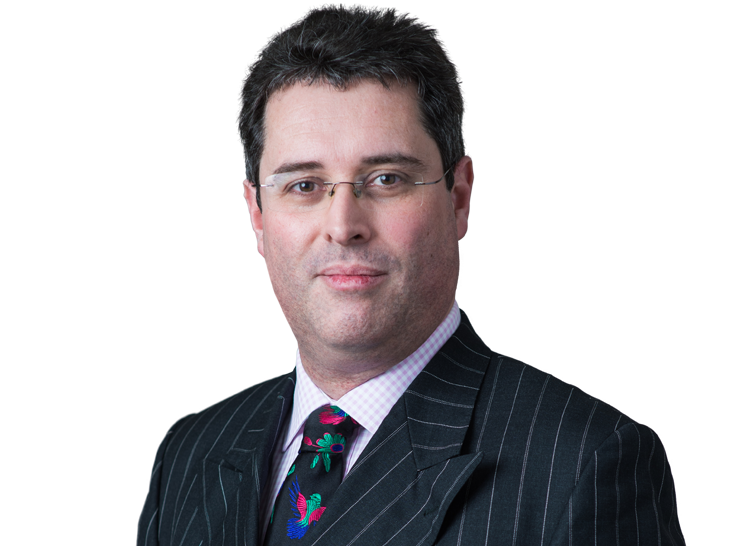 Andrew Thomas has advised on and appeared, both led and un-led, in a wide spectrum of commercial litigation and arbitrations including banking, aviation, telecoms, professional negligence, shipping, insurance and reinsurance, and jurisdictional related disputes. In addition to regularly appearing in the Commercial Court and before other tribunals in England, he has participated in hearings in Zurich and the British Virgin Islands. Andrew began his career by acting as Junior Counsel in the BSE Inquiry conducted by Lord Phillips and has since been involved in a number of disputes involving over £100 million including Bancomext v ETECSA. Andrew has acted for a Prince and Princess of Romania, Sir Allen Stanford, the London Philharmonic Orchestra and The Harlequins Football Club. Andrew has also pursued claims against Mr Nicholas Van Hoogstraten and several major banks including NatWest, RBS, Lloyds TSB, Barclays, Santander, Credit Suisse, UBS and Calyon. Andrew has experience with issues ranging from abstract points in construction of commercial contracts and acted in Durham Tees Valley Airport v bmibaby  1 Lloyd's Rep. 68 and Camerata v Credit Suisse  2 B.C.L.C. 54. He also has extensive experience involving complex jurisdiction disputes, such as UBS v Regione Calabria  1 C.L.C. 580 and Augean plc v Hutton and others  All ER (D) 106 (Sep). Andrew also accepts arbitration appointments. Andrew is ranked as a Leading Junior in Banking and Finance and Commercial Litigation by the Legal 500 2017. Andrew has extensive experience of complex substantive commercial disputes involving contractual issues and torts, in a wide variety of contexts (including various cases with international dimensions giving rise to issues as to jurisdiction and the applicable law). Steeles Professional Claeaning Services Ltd v Holder or holders of an account with Metro Bank Plc (2015) – Civil fraud and breach of fiduciary obligations, together with related freezing injunctions. Haughey Air Ltd v AgustaWestland SPA  EWHC 2746 (Comm) – Contested jurisdiction application in Commercial Court relating to sale of a helicopter. UBS v Regione Calabria  EWHC 699 (Comm)) – Jurisdiction dispute regarding a bank advisory relationship. Metal Distributors (UK) Ltd -v- ZCCM Investment Holdings Plc  2 Lloyd's Rep 37 regarding the jurisdiction of arbitrators. Anglo Eastern Trust -v- Kermanshahchi  BPIR 1229, a commercial dispute involving property transactions. Represented Sir Allen Stanford in relation to a sponsorship dispute over the Stanford 20/20 for 20 cricket series (with Mark Cran QC). Junior Counsel on a telecommunications arbitration involving allegations of money laundering and claims for assets worth hundreds of millions of dollars. Engaged in proceedings involving damage to oil pipelines, giving rise to various issues of quantification of alleged future losses. Engaged in long-running litigation against Mr Van Hoogstraten by the estate of Mr Raja, including matters relating to freezing orders and Raja -v- Van Hoogstraten (Court of Appeal) with regard to contempt and abuse of process. Includes Raja v Van Hoogstraten  EWCA Civ 968;  4 All E.R. 793. Don King Productions Inc -v- Warren and Others  2 All ER 608,  3 WLR 276,  2 Lloyd's Rep 176,  2 BCLC 132,  RPC 817 regarding contractual assignments and declarations of trust. Carnoustie Universal SA and others -v- International Transport Workers' Federation and others  2 All ER (Comm) 657, involving issues of conflicts of laws, jurisdiction and duress. J Sainsbury plc -v- Broadway Malyan (a firm) (Ernest Green Partnership Ltd, third party) 61 Con LR 31 - including issues regarding loss of a chance and contribution claims. Andrew is ranked as a Leading Junior in Banking and Finance by the Legal 500 2016.
various demands for banking records. Hockin and others v Marsden and others  EWHC 763 (Ch) – Compelling administrators to assign claims against RBS and Natwest in relation to alleged misselling of interest rate hedging product. Junior counsel for Coopers & Lybrand in the Barings Litigation, involving allegations of negligence by the auditors of Barings in relation to the activities of Nick Leeson. Extensive practical experience in litigation involving allegations of civil fraud and deceit, including related interim relief hearings (particularly freezing orders) and asset recovery issues. Steeles Professional Cleaning Services Ltd v Holder or holders of an account with Metro Bank Plc (2015) – Civil fraud and breach of fiduciary obligations, together with related freezing injunctions. Engaged in proceedings by Motorola Credit Corporation against Uzan and others, including issues regarding whole wide freezing orders. Andrew regularly gives seminars to solicitors on a range of subjects including on repudiatory breaches of contract. Recipient of Oxford University's Eldon Law Scholarship, and the Slaughter and May prize for the Best Performance in Contract in Finals, and Inner Temple's Princess Royal Scholarship. Other interests - Science fiction and the exploration of space. Andrew is ranked as a Leading Junior in Commercial Litigation, and Banking and Finance by the Legal 500 2018-19.